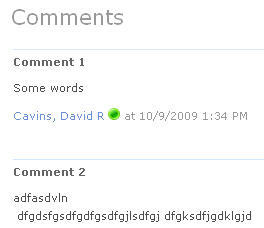 Out of the box the comments on SharePoint blogs dont look that good. When working with multiple browser windows open its hard to tell one from the other because most SharePoint pages don’t offer a useful title. 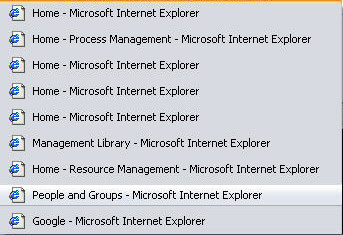 So in most cases you will see something like this (I am using the dreaded IE 6 unfortunately). As you can see most SharePoint pages only show the title of the page. On the home page of some sites the site name is shown as well. Ideally the page title should not only tell you the title of the page you are looking at but also what site you are on. Chris Coyier of CSS-Tricks talks more about different options in this post. After some experimenting I was able to get this working in SharePoint. 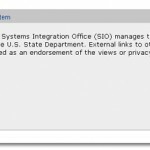 A while back there was a post on EndUserSharePoint.com by Paul Grenier that described how to use jQuery and the CEWP to make a preview pane. I thought it was a very nice solution and worked better than the out of the box preview pane SharePoint uses. 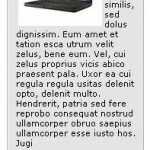 The only issue is the preview pane solution is that in environments with slow internet connections the preview pane will be almost as slow as if the user actually broswed to the display form for the item. Although its done through AJAX jQuery is still having to load the whole DispForm.aspx and then only displaying the contents of a specific element. DispForm.aspx when rendered through the borwser (like most pages in SharePoint) is very code heavy with over 700 lines of code ( An Announcement List item). Reducing the amount of code jQuery has to load from the diplay form will decrease load times and make everyone happy. Gabe Hilado and I decided to try to make it faster. The simple solution is to make your own diplay form in SharePoint Designer. First we tried creating a blank .aspx page and putting the list view webpart on it. The reduced the amount of code on the page but I wanted it to be even faster. Each item will have a Title, Body and a customizable “read more” link. I got the idea for this from here: http://cssglobe.com/lab/searchfield/. The idea is that by giving users suggestions of what they should be searching for they can be guided to the most important information. When I am searching for something many times I am unsure what what search terms will give me the best results. 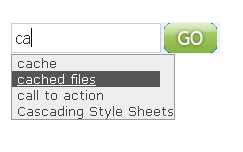 Many people use a hidden content editor webpart for this purpose but there is a second option. 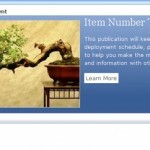 On each page layout there is a Content placeholder called “AdditionalPageHead”. Anything placed inside this placehodler will be added to the head of the rendered page. You can also create your own custom placeholders in the masterpage and page layout to allow you to add items to any part of the masterpage. For instance I have created a custom placeholder to insert webparts in the footer area of the masterpage. Designing for IE6 means you must consider its lack of support for PNG transparency. There are many PNG hacks out there, I prefer this one from Unit Interactive Labs . The problem with this one is that it has to read through the whole page searching for PNGs to fix which cna make load times noticable slower. I was trying top find a faster solution when I remembered that SharePoint uses PNGs on some of its pages. The tag will need to be inside of a content placeholder tag. You can name the placeholder whatever you want that makes sense. The placeholder canb be wrapped in a DIV tag for positioning purposes. The ViewIcon tag will require a width and height to render properly and will not work for background images.